Shoojit Sircar has finally found an actor to play Udham Singh: Irrfan Khan. According to a report in Mumbai Mirror, Shoojit Sircar's search for Udham Singh came to an end with actor Irrfan Khan being cast for role.The director has previously collaborated with Irrfan Khan on the critically acclaimed Piku. Irrfan Khan will now be seen playing the role of Udham Singh in a biopic of the revolutionary who assassinated Michael O’Dwyer, the former Lieutenant Governor of Punjab in British India in 1940, to avenge the 1919 Jallianwala Bagh massacre. Shoojit Sircar hopes to start filming the biopic by the year end. 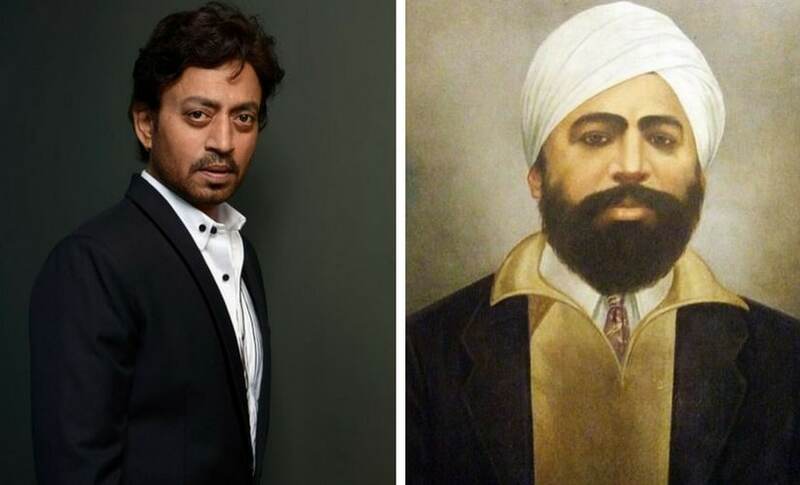 Irrfan Khan and Udham Singh/Image from Twitter. This news will prove to be a big relief for Irrfan Khan fans. The actor had announced in March that he has been suffering from neuroendocrine tumour. Irrfan is currently in the US for his treatment. Earlier, there were reports that Ranbir Kapoor would star in the film, but during the promotions of Shoojit’s film October, the director said Ranbir is not part of the movie. Shoojit told Mumbai Mirror: "To relive Udham’s journey, I need a performance with finesse and depth which Irrfan is capable of. Also, he’s the only international actor we have today and I discovered to my delight that independently he knows a lot about the history of Punjab". The biopic has no title or release date yet.